Today is the third day of Passover but, ironically, I have spent the last couple days focused more on Noah than Moses -- all because of a recent conversation about Darren Aronofsky's new blockbuster movie, Noah. Never has a movie so clearly illustrated the vast gap between Jewish and Christian interpretations of the Bible. Judging from the reviews, it's one of those films you will either love or hate, depending on your theology. I myself have not yet seen the film. My wife and I were planning to go today, but then we got buried again by a Minnesota snowstorm, and as of this writing, our road is not plowed yet. So this post won't be a movie review. Rather, it's a discussion of the Jewish take on Noah, and why he is not considered to be as great a prophet as Moses. All of us -- Jews and non-Jews alike -- grew up with the children's story of Noah as a kindly old man caring for animals on a floating zoo in order to save them from extinction. 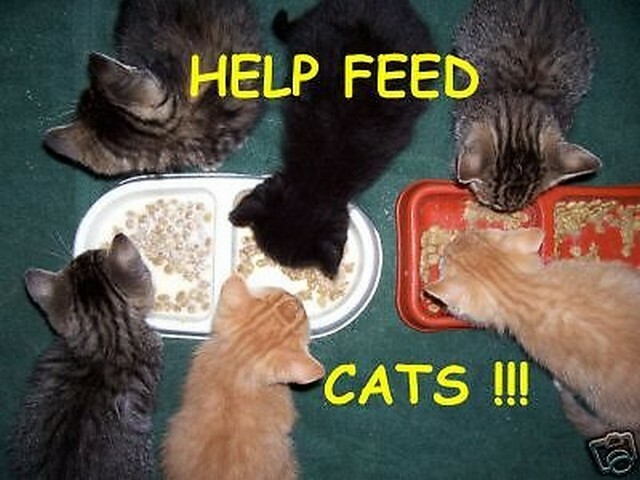 I myself have used that imagery when talking about modern ecological issues. So have many environmentalists, religious or not. It's a beautiful story, and my intent here is not to criticize those who tell it that way. However, when we look at the biblical text as adults, there are a number of perplexing questions. The children's story ends with the appearance of the rainbow and all the happy animals leaving the Ark. We don't talk about how Noah got so drunk afterward that he was lying in the tent in a naked stupor (Genesis 9:18-23). Nor do we ask why he didn't try to save more people, or at least convince them to build their own boats -- or how the neighbors might have reacted to Noah as the crackpot who was building a ship in the middle of the desert. Nor do we talk much about the unfairness of him cursing his grandson Canaan's descendants for all eternity (Genesis 9:25-27). Noah shows his fallible, human side. Jewish tradition does address these questions and takes a long hard look at Noah as a fallible human being. The Torah tells us that he was "righteous in his generation" (Genesis 6:9) Christians tend to read this as saying that he was a saint. Judaism takes the opposite view: In his generation he stood out as righteous compared to all the evil people around him, but if he had lived in the time of Abraham, he would have been a nobody. In the pre-Flood days, the behavioral bar was set so low, it didn't take much to be seen as a righteous man. Unlike Abraham, who, when told by God that the city of Sodom will be destroyed, argues on behalf of the innocent who will also die, Noah just says, in effect, "Sir, yes sir!" and follows orders without question. He builds an Ark to save himself, but shows no concern for the rest of humanity -- or the animals not aboard the Ark, for that matter. This, according to Jewish tradition, is not righteous behavior. God does not want us to save ourselves and to heck with the rest of the world. Noah may have been the best "righteous man" God could find in that era, but he was far from perfect. We could argue that Abraham had the benefit of learning from Noah's mistakes. So, when confronted with the same moral dilemma -- although on a smaller scale -- he responds by coming to the defense of the righteous living among the wicked (Genesis 18:24-32). Then he "bargains" with God about how many righteous it would take to save the city. Abraham stops at "what if there are ten righteous people" because he assumes that Lot's family will make up the quorum. But only Lot, his wife, and two daughters heed the warning to leave, so the city is destroyed after all. But at least Abraham tried to save some of the people. Moses, when confronted with a similar challenge, goes even further than Abraham; he argues not only on behalf of the innocent, but on behalf of the guilty as well. He stands up for the whole community. The scene is this: Moses is still up on the mountain, receiving the Torah, while the people below are making and worshipping the Golden Calf idol. God tells Moses about this blasphemy, and says He will destroy all the people and start a new line with Moses (Exodus 32:7-11). This, on a smaller scale, is the same thing God told Noah: Let's push the "reset" button and I'll start over with you. But Moses reacts differently from Noah. He doesn't just follow orders, nor does he accept the offer of founding the new chosen line. Instead, he argues on behalf of all the people -- righteous and sinners alike. God accepts Moses' plea (or prayer, since he is talking to God) and does not destroy the Israelites, even though they have just committed the most heinous sin of sins by worshipping a false god (Exodus 32: 12-14). It is true that some people are later slain by sword or plague, but God makes it clear that "he who has sinned against me, him only will I blot out "(Genesis 32:33). There is now personal accountability for misdeeds, not collective guilt. These stories are not about God "making mistakes" or "changing His mind." It is about the very Jewish idea that God's judgments are not always written in stone, and that, as the Yom Kippur liturgy says, "repentance, prayer, and charity avert the evil decree." It is about the evolution of human consciousness from self-centeredness to caring about others. It is about the spiritual power of a real change of heart, and about taking personal responsibility for tikkun olam, "repairing the world." 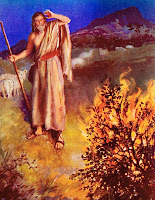 Thus we have the following progression: Noah, when told God will destroy the world but save him and his family, offers no argument on behalf of the world; Abraham, when told God will destroy a city, argues on behalf of the righteous; Moses, when told God will destroy the whole tribe and start over with him, argues on behalf of everybody. 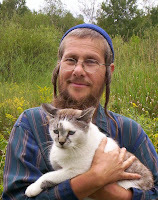 From this we learn that Judaism is about community, not just saving yourself. And that is why, from a Jewish standpoint, Noah is not considered to be such a great saint. After the Flood story he is hardly mentioned at all. So I find myself wondering: What if Noah had challenged God's desire to wipe out every living thing on the planet? Would God have relented then, as He did with Moses later? Does Noah bear some responsibility for the destruction of the Flood? And does this lesson have anything to teach us today about our responsibility to each other, and to the planet? Do we just sit back and wait for Judgment Day to come and "cleanse" the earth of wickedness, or do we take action in the here and now to "avert the evil decree?" Count the Omer with 49 Gates of Light! It's back! The latest "incarnation" of Rabbi Yonassan Gershom's seven-week course of daily kabbalah lessons, coordinated to "counting the omer" on the Jewish calendar. You can now get the new 2010 revision in epub format -- readable on the iPad, Nook, and most ebook readers or computers. Newly updated and now in full color, this is not just another book “about” kabbalah. It’s an experiential set of daily lessons, designed to help you learn the Tree of Life diagram and apply the principles of kabbalah in your own life. 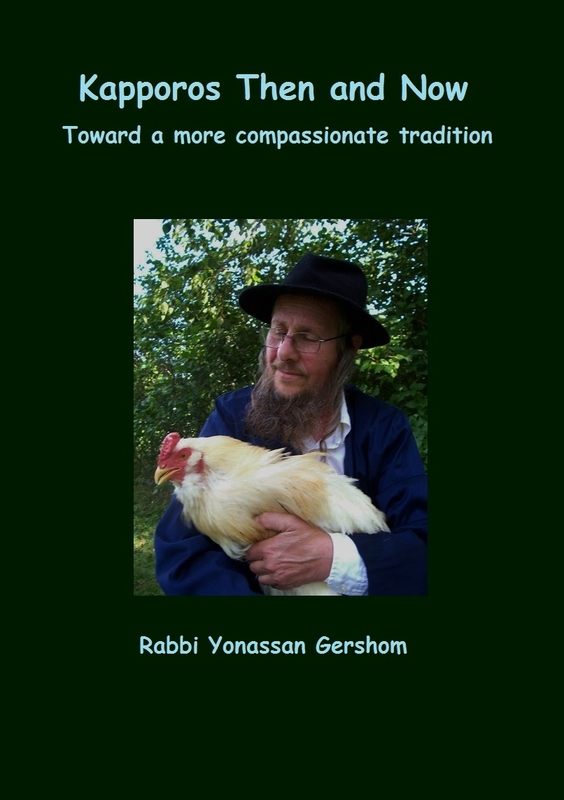 Includes all the stories and lessons of the 1987 and 1993 editions, the "Wizard of Oz" as a kabbalah teaching parable, plus many new diagrams and illustrations. 128 pages in all. The print version of this book retails for $36 (color printing is very expensive) but you can have the same book in epub format for only $10 on Lulu.com -- order here and download instantly! Here’s how it works: Each day, you will explore one of the 49 “flavors” of consciousness with a specific Hebrew mantra to open the Heart (spelled out in English letters), a story or teaching to study to develop the Mind, and something active for you to do on the path of Action. The 49 lessons are co-coordinated to the “Omer” period on the Jewish calendar, which is the seven weeks between Passover and Shavuot (Feast of Weeks.) However, you can also do this program anytime as a set of personal lessons any time of the year. 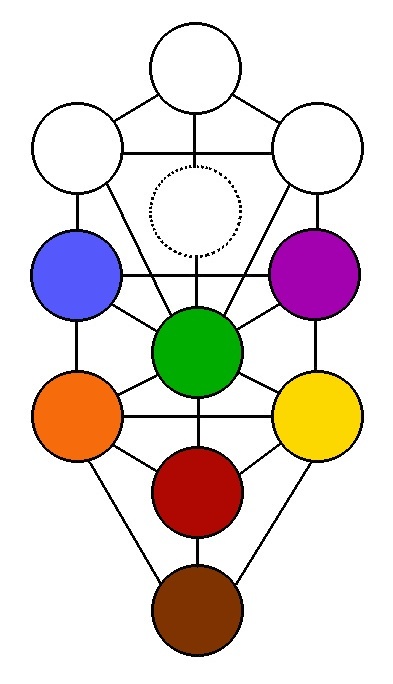 The Tree diagrams and lesson pages are color-coded to match the rainbow pattern on the B'nai Or tallis (prayer shawl) designed by Rabbi Zalman Schachter-Shalomi, as well as the Seven Days of Creation and other kabbalistic themes. Each week focuses on one of the Seven Lower sefirot (levels) on the Tree diagram. The process works on many levels, and you are free to make it as simple or complex as you wish. If you are not the type of person who likes to analyze, simply read the daily page, do the mantra and experiential meditation, then journal your thoughts and reactions. If you do this faithfully for the entire seven weeks, you will be amazed at your spiritual progress. However, if you are not content to “just do it” and want to know how the process works and why, the introductory and sections will give you the theory, along with diagrams of the Tree and more in-depth ways to use the book. Also included is a glossary of Hebrew terms and some interesting background history. Buy and download your copy now!